Water filtration is equally, if not the most important ingredient to producing superior coffee and espresso shots. When scale (minerals) and other foreign particulates in the water can pass through the espresso machine, then the effects on taste and your machine can be disastrous. When your espresso machine is fed unfiltered water, the result is much the same. Its functionality is impacted, as well as the taste of your espresso drinks. The impact from unfiltered water in your espresso machine on its function can happen in a relatively short period of time. 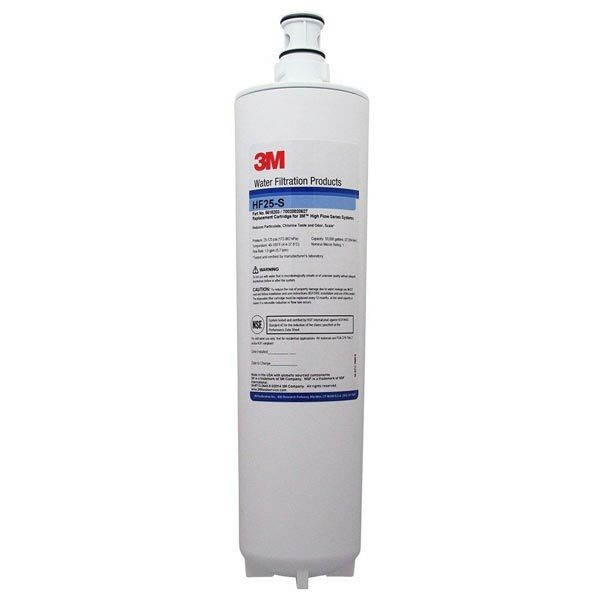 This cartridge is designed to reduce and inhibit scale growth while also reducing sediment and chlorine taste / odor. It features a micron rating of 1 to provide an extra line of protection for your water-using equipment. This cartridge boasts an impressive 1.0 micron rating that effectively filters out sediment so that you can be confident your equipment will be fed the clearest, cleanest water possible. 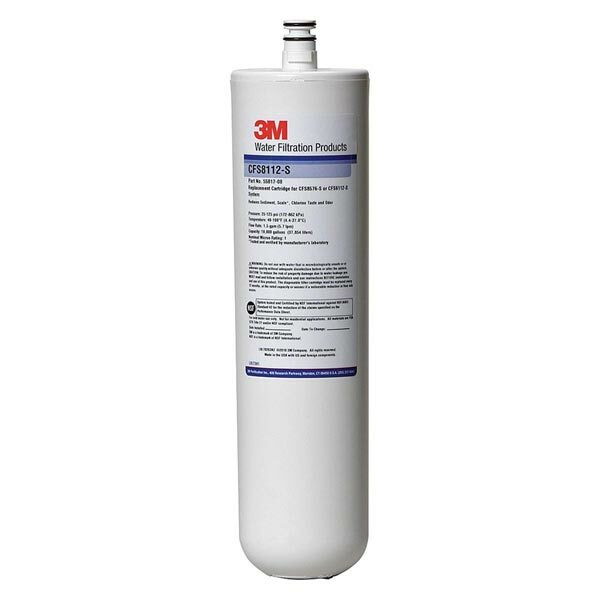 It also inhibits scale from building up within your equipment and reduces unpleasant chlorine taste and odor. 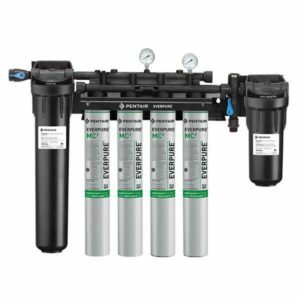 Series Light Commercial Reverse Osmosis Systems are a cost–effective solution for light commercial RO applications such as coffee, tea, food preparation, misting, hydroponics, detailing, and more. Series Reverse Osmosis Systems are designed for overall superior performance, high recovery rates, minimal energy consumption and offer great savings with low maintenance and operation costs. Series Reverse Osmosis Systems are designed for durability and superior performance and are well–suited for treating well water and surface water containing dissolved solids up to 10,000 ppm. 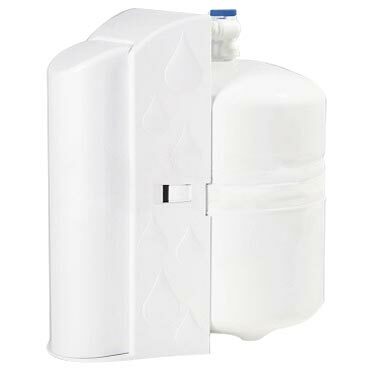 The R2 – Series is specifically designed with a compact frame to fit into small areas such as utility rooms. 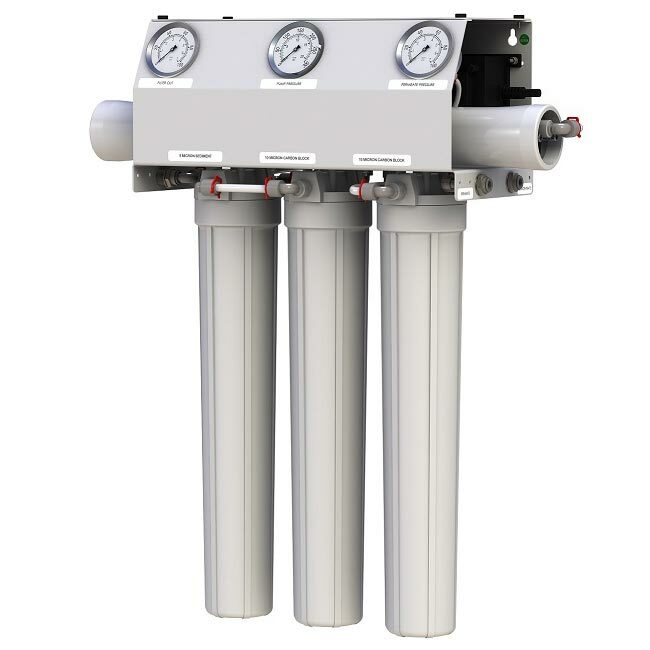 Filtration Systems feature a compact single stage design and are available with 3 / 4" or 1" ports. 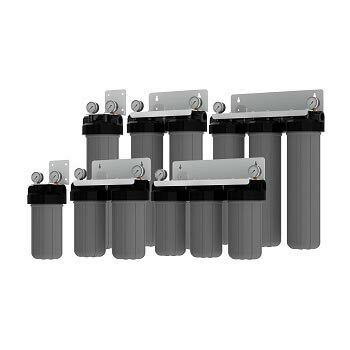 These systems are ideal for water treatment applications that require additional pre-or post-treatment. This system provides clear, fresh water to your water supply, which improves the flavor, quality, and overall appearance of the product. Thanks to a specialized filter blend and the SR-X scale inhibitor feeder, this system fights off health contaminants like bacteria and cysts. Series Reverse Osmosis System utilizes reverse osmosis technology and features a four stage pre–filter, membrane and post–filter design that is housed inside a single cartridge. A fifth stage post–polishing inline carbon filter is installed between the tank and faucet for even better tasting water. The tubes, jets, and boiler can clog in as little as 4 to 8 months, making your espresso machine inoperable or at least in need of a serious overhaul and many expensive repairs. It can cost you time and money, all of which can be prevented with the right water treatment and filtration system. The fact is that all the water coming into your machine is going to pass through a jet that is smaller than a sewing needle, when pulling a shot of espresso. It is easy to see how the smallest piece of material can negatively impact the functionality of that jet. 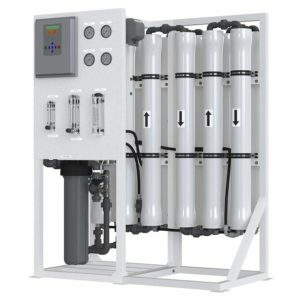 Our team can help you to design a water treatment and filtration system that can address your needs. We can take into account your machine, whether your tap water is hard or soft, and the type of minerals to be found in your water. Once you have the right water treatment and filtration system in place, your water will be ready to make those amazing espressos. Additionally, our knowledgeable staff can work with your budget to find the right filtration system. We look at your frequency of use and help you to find the right fit for your machine and your budget. Our water filtration systems are meant to capture the smallest particles, thus giving you confidence that your equipment will receive the cleanest and clearest water possible. 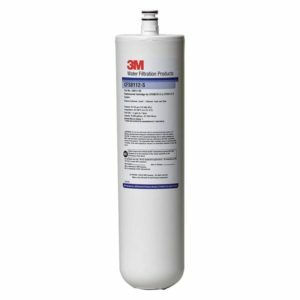 Plus, with the right water filtration system in place, you can reduce the amount of sediment buildup in your machine, along with any unpleasant odor or chlorine taste. The right filtration system can also assist in reducing the amount of scale growth throughout your machine. Overtime, scale can negatively impact the functionality of your machine and the taste of your coffee and espresso drinks. 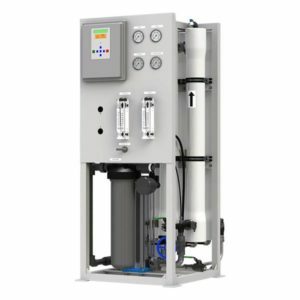 If you want the best product from your espresso or coffee machine, then it is critical that you take the time to choose a water filtration system to meet your needs. Consider it insurance for your investment and a gift to your taste buds!